“Much of the improvement in antitrust policy over the past decade and a half has come not from the courts but from the enforcement agencies. If the courts abandon economic rigor, only those agencies can preserve the rationality of the law, and then only partially. Private plaintiffs and their lawyers have rather less interest in rational rules than they do in triple damages and contingency fees. Expert economic witnesses can be found to support any theory. Without firm judicial control, private actions make antitrust “policy” ad hoc, as trials become ad hominem. Much more could be said about the devastating unfairness and anticompetitive consequences of much private antitrust litigation, but that is outside the scope of this book. In antitrust, it is possible to think the European Community as has wisely not followed the american example but has instead centralized all enforcement in a single government agency” (The Antitrust Paradox, Epilogue p.439). 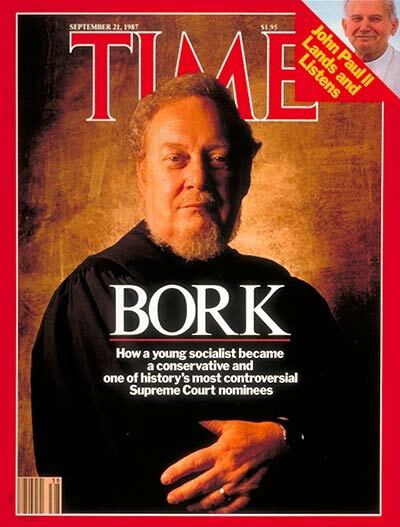 In brief, Bork accuses the US courts system of the state of theoretical confusion in which antitrust law was until the 1980s. And he says that agencies often promote better substantive standards (though they select those most advantageous to them) than courts who hear cases brought randomly by private parties with evolving business interests. We surely can agree with Bork – as we have endlessly advocated on this blog – that with prospects of increased private enforcement in the EU it becomes compelling to (i) induce judges to delve more into economic analysis; (ii) require a very stringent system of judicial review. I like to government agency, but for better protection of fundamental rights, I would prefer the European Commission to take the cases to a specialised(?) EU court. Asimo, my reading is that in this § Bork complains of the dangerous role of private economic experts hired by the parties. But on a more general level (in the rest of his book), Bork’s book is a love declaration towards more economics in the system, incl. in the courts : “The reasons for the inadequate performance of the legal institutions that shape AT policy is a complex topic. No single institution is wholly responsible, but perhaps it can be said that the factor common to the performance of all of them was, and is, the absence of a rudimentary understanding of market economics. Few of the actors in the process, however, seemed to display any lackof self confidence in economic argument (p.409)”.